Explorer Sir Lionel Frost is about to make his greatest discovery, leading to the adventure of a lifetime. 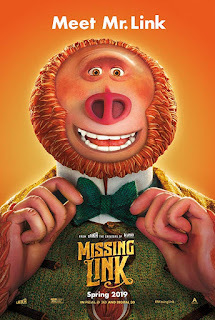 Missing Link is the new movie from Laika Studios, the animation house that specializes in stop motion animation. I love these types of movies and relish every time a new one comes out. In our world of increasingly digital movies, there is something unique and refreshing about the craft of stop motion animation. 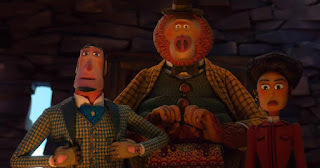 As with all Laika Studios movies, the animation is the first thing you notice. And thankfully, Missing Link does not disappoint. The animation is beautifully done with painstaking attention to detail for the variety of characters and landscapes. With stop motion animation, there is always a fear that the set variety will be lacking due to time and resources, but thankfully Missing Link spans desserts, lush forests, snowy mountains, rough oceans, and everything else in between. And to populate these various locales, the film introduces a menagerie of characters from the human, to the animal, and somewhere in between. The voice acting makes these characters come alive, with the chemistry between the main characters evident from the get go. And as you would expect from a movie geared towards a younger generation, the various characters develop throughout the film, with fairly simple motivations and learning important lessons throughout. 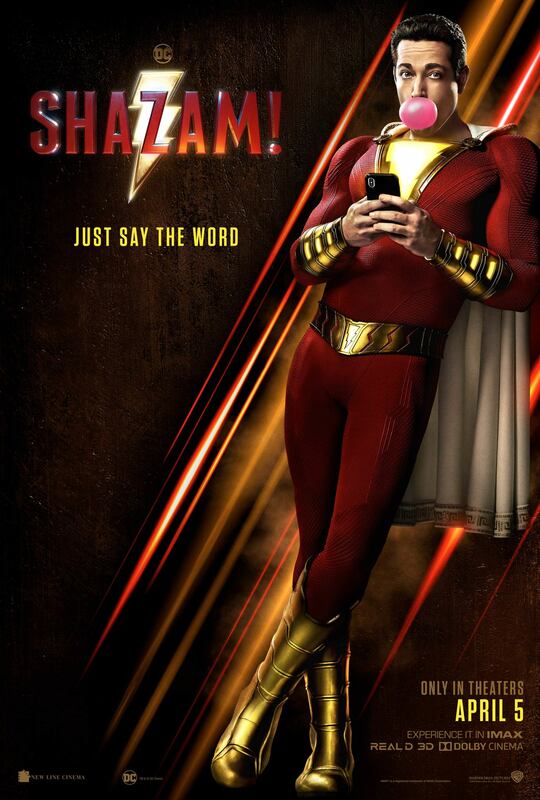 That being said, even though it is a film geared towards kids, there are plenty of jokes and situations that will keep older audiences entertained. And despite the whimsical trailers, there are several fight scenes and situations that might be too intense or scary for very young kids. 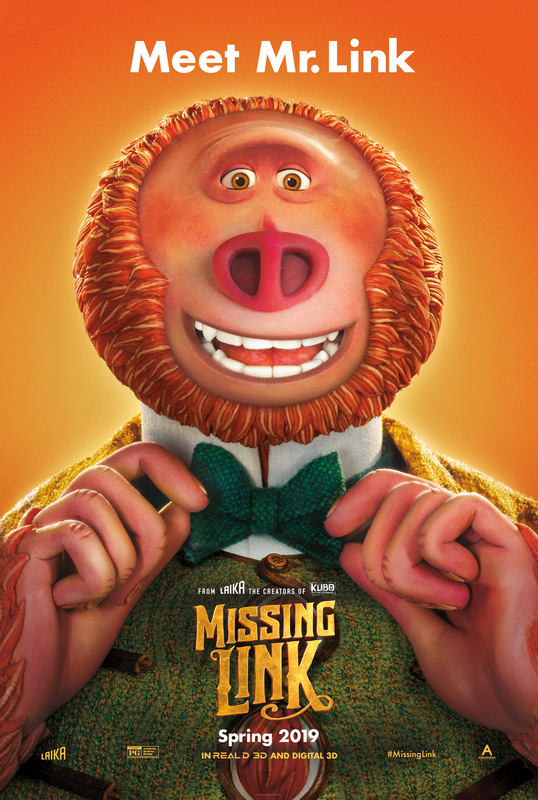 Missing Link is another lovingly-crafted Laika original, that will take viewers on a beautifully animated journey. The animation is a treat for the eyes and if you are a fan of this type of film making, make sure to see it. - This screening will be in IMAX 2D. 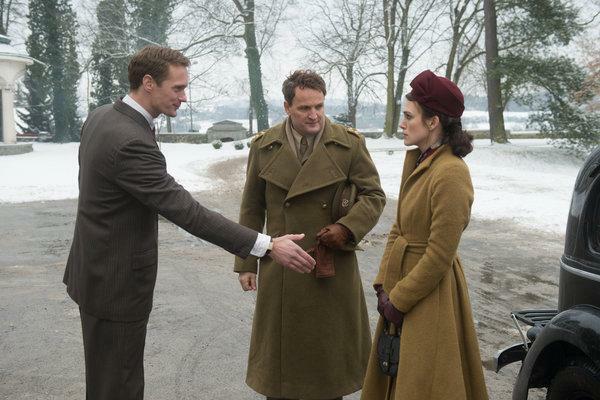 The Aftermath take place post World War II in Hamburg, Germany, where you find Rachael Morgan (Keira Knightley) reunited with her husband Lewis (Jason Clarke), a British colonel in charge of removing any Nazi presence in and rebuilding a city burned to ashes. Rachael is ready to see what life brings the newly united couple as they set off to their new home. However, the unexpected happens when Rachael finds out that the couple will be sharing a mansion together with its previous owners, a German widower Stephen Lubert (Alexander Skarsgård) and his troubled teenage daughter Freda (Flora Thiemann). This movie gives you a vintage romance story set shortly after wartime; where the wounds have not healed and it is tough to have a true winner. With the war being so recent, it is expected that all parties involved will have experienced some sort of loss. Rachael, Lewis, Stephan, and Freda are all dealing with vivid recent losses that cause issues in the new tense home dynamic. No parties tackle these issues head on, creating tension between the two families resulting in yet more drama. Overall I enjoyed this movie. I feel like the movie nails the plot points where it tries to elicit a vivid reaction from the viewers. And this is accomplished by some solid, but not overly strong performances from the cast. Alexander and Keira had great chemistry, an underrated aspect of Skarsgård's work (but which Knightley seems to always have in her roles). Clarke is predictably solid as he is in any role he takes. My only issue with this film is that the plot is super thin and, quite frankly, predictable. The movie tries to be an emotional roller coaster, and does pick the right spots to add some intrigue or serious aspects when necessary. And with grief being a major factor, there is some part of the story that will resonate with all viewers despite its predictability. The Aftermath is an emotional, yet predictable roller coaster with a solid cast and a story that can resonate with most anyone. It is enjoyable and should be seen if you absolutely love the cast, but make sure to wait for it to come out on video / streaming. What happens when your edge over the competition is measured in milliseconds? How much would you give to get that advantage, even for a little bit? 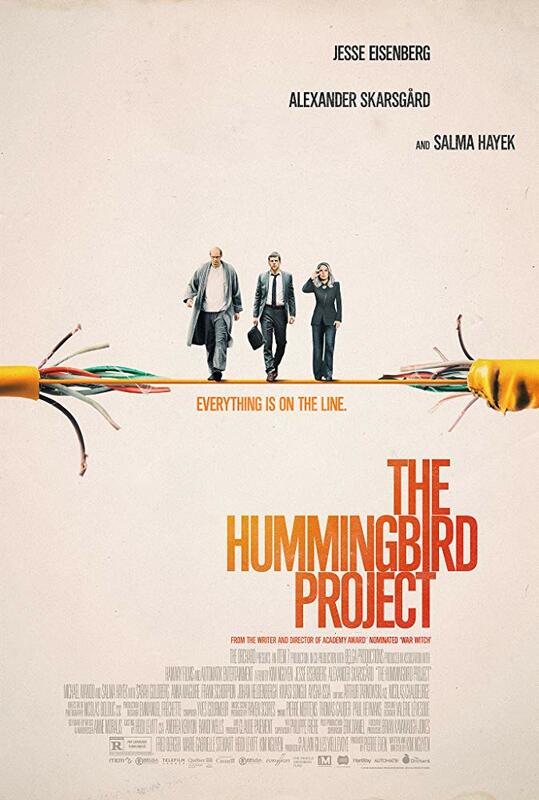 That is the dilemma in the new drama, The Hummingbird Project. It is a fictional story (though it appears to be based on a real life project without all the drama) that follows two people as they try to build a special purpose fiber line that goes directly from Kansas City to New York in as straight a line as possible. This would allow them to reduce the latency in a trade by a millisecond, and theoretically have an advantage on all other traders because of this. If this premise sounds a bit mundane, then maybe this movie is not for you. 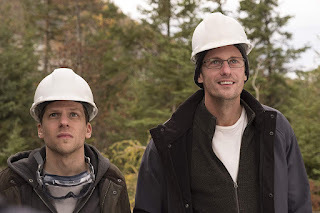 Although the main challenge sounds boring, and the movie can tend to slow to a crawl at times (ironic for a movie that is all about speed and latency), the Hummingbird Project serves up plenty of drama in this high stakes technology / construction caper. The lengths that the main characters go to in order to realize their dream is interesting to watch, even if the film does tend to drag in places. And the main characters themselves are well cast, with Jesse Eisenberg playing his trademark confident egomaniac, Skarsgård playing a neurotic genius, and Hayek as the main antagonist. Skarsgård particularly looks like a completely different person; he went through a complete physical transformation and is almost unrecognizable in this role. 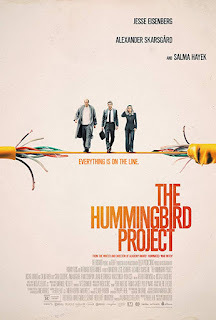 However, the main issue with the Hummingbird Project is that it is just not a very interesting movie. The filmmakers try to use the film to warn of some modern vices: the obsession with technology, the role of money in modern society, and the harm that both of those do to people, but these lessons are thinly veiled and fairly obvious. And the vehicle through which these warnings are delivered is still a movie about high stakes financial traders trying to reduce latency. I wish the story had been based on a real one, so I could have been more invested in the characters; but there is no indication in the film that this is the case. 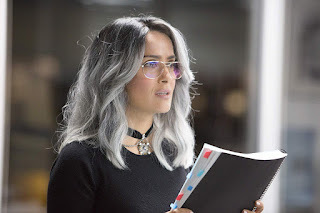 It works overall, and the movie is worth seeing for the performances and the interesting premise of the film, but you can have a few months of latency before that happens. Let me just get this off my chest: the movie is called Wonder Park, but the park in the movie is called Wonderland! My guess is that this is because of some sort of name dispute, but it just seemed odd. That aside, Wonder Park is a cute, enjoyable kids movie that is a quick ride for all ages. In the movie, the main character is transported to an imaginary park that she and her mom built as a kid, but something is slowly destroying the place. June has to help her childhood toys figure out what is wrong and find a way to save Wonderland before it is too late. The movie is beautifully animated, with some very imaginative scenes that bring a child's imagination to life. The Park itself is fun to explore, and seeing the characters overcome the various challenges is enjoyable. The characters are imaginative, if a little one dimensional. And those characters are brought to life by some good, but over the top voice acting. The story itself proceeds at a brisk pace, with not much down time (a good thing for a kids movie, it definitely flies by). However, that story goes from point A to point B with few roadblocks along the way. Maybe this is good for a kids movie, but it seemed like there were little, if any challenges for the characters to overcome. 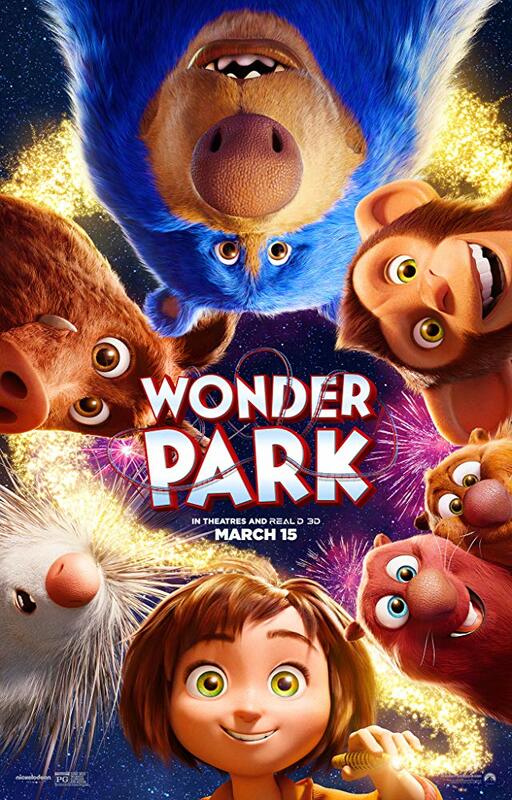 Wonder Park is an imaginative, enjoyable experience for all ages. The "scary" scenes are not frightening and the action is very family friendly. The movie has some memorable characters, an interesting setting, but a fast story. Wonder Park is not a roller coaster, but it is an enjoyable ride that will not leave you disappointed.